The Lower Platte WMA Mapping Program was developed and is being maintained by the GIS specialist of the Lower Platte North NRD. The locations of purple loosestrife, saltcedar and phragmites have been mapped since 2003. This mapping program is being used to map newly found infestations and monitoring the sites found. 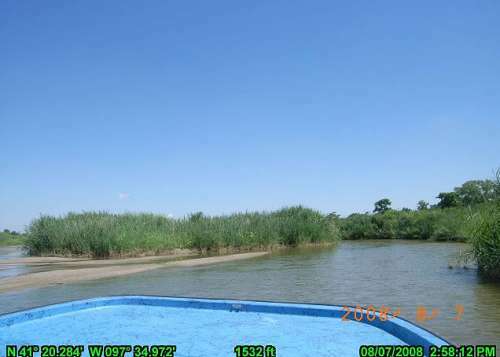 A complete survey was made of the 120 miles of the Lower Platte River and Lancaster County for phragmites in 2008 using cameras with GPS capability. These sites and photos can be viewed on the LPWMA Mapping Program. You can also see the location of the 750 acres sprayed on the lower 56 miles of the river by helicopter in 2008. Formed in 2002 with the assistance of the Nebraska Great Plains RC&D. Boundaries of the LPWMA encompasses all the counties in the Lower Platte River Drainage area. The counties include Platte, Colfax, Dodge, Douglas, Butler, Saunders, Sarpy, Seward, Lancaster, and Cass. The Nebraska Airboat Association is assisting with surveys and treatment application. Five natural resources districts are providing support and assistance.